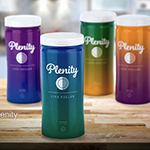 PLENITY™ represents a new approach to weight management for millions of adults. BOSTON--(BUSINESS WIRE)--Gelesis, a biotechnology company developing first-in-class hydrogel therapeutics to treat obesity and other chronic diseases related to the gastrointestinal (GI) tract, today announced that the United States Food and Drug Administration (FDA) has cleared the Company’s lead product candidate, PLENITY™ (Gelesis100), as an aid in weight management in adults with a Body Mass Index (BMI) of 25–40 kg/m2, when used in conjunction with diet and exercise. A BMI of 25 kg/m2 and over is the accepted definition of overweight, and a BMI of 30 kg/m2 and above commonly defines obesity. PLENITY represents a new prescription option for millions of adults. 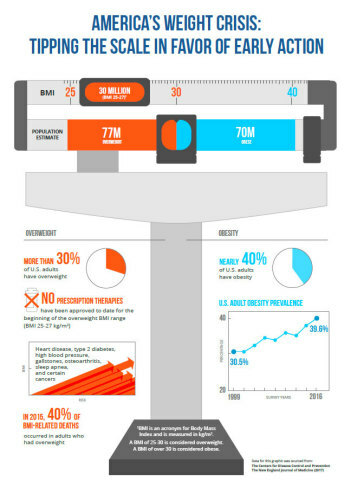 More than half of the approximately 150 million adults in the U.S. with a BMI ranging from 25 kg/m2 to 40 kg/m2 are classified as overweight (BMI 25-30 kg/m2). Until now, many of them have not had any prescription treatment options. The safety and efficacy profile of PLENITY makes it well-suited for these individuals. It is the only prescription weight management product to be cleared for use by overweight adults with a BMI as low as 25 kg/m2, with and also without comorbidities such as hypertension, type 2 diabetes or dyslipidemia. There is no restriction on how long PLENITY can be used to assist in weight management. PLENITY is administered in the form of capsules taken with water before lunch and dinner. PLENITY is made by cross-linking two naturally-derived building blocks – cellulose and citric acid – to create a three-dimensional hydrogel matrix. 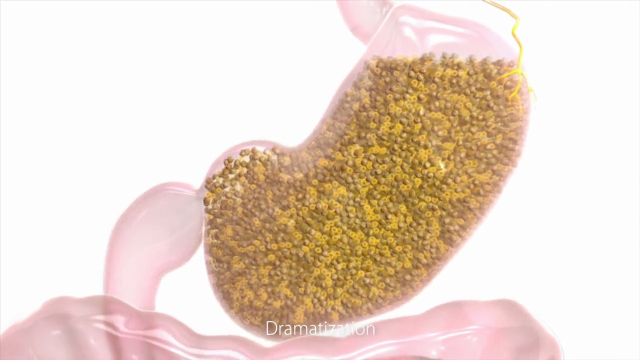 The capsules release thousands of non-aggregating particles that rapidly absorb water in the stomach, creating small individual gel pieces with the elasticity (firmness) of plant-based foods (e.g., vegetables) without caloric value. The gel pieces increase the volume and elasticity of the stomach and small intestine contents, contributing to a feeling of fullness and inducing weight loss. This novel, non-stimulant and non-systemic treatment has been shown in clinical studies to be effective, safe and well-tolerated. In clinical studies, PLENITY demonstrated a unique combination of effectiveness combined with a highly favorable safety and tolerability profile. Data from the PLENITY pivotal study, Gelesis Loss Of Weight (GLOW), were published recently in the scientific journal Obesity and that paper was selected as an Editor’s Choice manuscript. Pivotal data from the GLOW study were also presented in three posters, one receiving a special recognition award, and an oral presentation at the Obesity Society Annual Meeting 2018. “Given the complexity of the disease of obesity and the need for expanded treatment options, the Obesity Action Coalition is encouraged to see continued innovation in safe and effective chronic weight management options. We welcome PLENITY’s addition as a treatment option for people affected by obesity,” said Joe Nadglowski, president and chief executive officer of the Obesity Action Coalition. “More than 150 million Americans struggle with excess or unhealthy weight. Unfortunately, the majority of individuals with weight issues have important weight-related medical problems. There is no doubt that making a significant impact on this issue should be America's number one public health priority. The scientific data supporting PLENITY's positive effects on weight make it a powerful tool to help with weight management. The most compelling aspects of this approach are its effectiveness, novel mechanism of action and impressive safety data. This approach creates another arm in the treatment algorithm of weight management and could be used by an overwhelming majority of people struggling with weight issues,” said Ken Fujioka, M.D., a weight loss expert, endocrinology researcher at Scripps Clinic and scientific advisor to Gelesis. Gelesis plans to initiate a targeted U.S. launch of PLENITY in the second half of 2019 and anticipates PLENITY will be broadly available by prescription in the U.S. in 2020. PLENITY and its prototypes have been studied across five clinical studies throughout the United States, Canada, and Europe. PLENITY, along with diet and exercise, helps to induce weight loss through increased satiety and reduced hunger, leading to a reduction in caloric intake. Throughout its clinical program, PLENITY has demonstrated a consistently strong safety and efficacy profile. PLENITY was recently evaluated in a multicenter, double-blind, placebo-controlled pivotal study designed to assess change in body weight in 436 adults with overweight or obesity (BMI ≥ 27 and ≤ 40 kg/m2) after six months of treatment. The study had two predefined co-primary endpoints: at least 35% of patients taking PLENITY achieving ≥ 5% weight loss (categorical endpoint) and placebo-adjusted weight loss with a super-superiority margin of 3%. In addition, a prespecified analysis of simple superiority was also performed. The study met and exceeded the predefined categorical endpoint, with 59% of adults in the treatment group achieving weight loss of 5% or greater. As previously announced, the study did not meet the 3% super-superiority endpoint but demonstrated superiority of the PLENITY treatment over the placebo group (–6.4% vs. –4.4%, P=0.0007). PLENITY-treated individuals had twice the odds of achieving at least 5% weight loss vs. placebo (adjusted odds ratio [OR]: 2.0, P=0.0008). In addition, 26% of the adults who completed the treatment with PLENITY were “super-responders,” defined as achieving at least 10% weight loss. These super-responders achieved an average of about 14% weight loss or approximately 30 pounds. The overall incidence of adverse events (AEs) in the PLENITY treatment group was no different than placebo. The most common treatment related adverse events (TRAEs) were gastrointestinal disorders (158 TRAEs in 84 [38%] subjects in the PLENITY arm, compared to 105 events in 58 [28%] subjects receiving placebo), infections and infestations (2 events in 2 [1%] subjects with PLENITY and 1 events in 1 [1%] subjects with placebo), and musculoskeletal and connective tissue disorders (3 events in 2 [1%] subjects with PLENITY and 0 in 0 [0%] subjects with placebo). There were no serious adverse events (SAE) in the PLENITY treatment group, whereas there was one (1) SAE in the placebo treatment group. PLENITY is an oral, non-systemic, superabsorbent hydrogel which has received FDA clearance as an aid in weight management in overweight and obese adults with a BMI of 25–40 kg/m2, when used in conjunction with diet and exercise. It is made by cross-linking two naturally derived building blocks, modified cellulose and citric acid, that create a three-dimensional matrix. 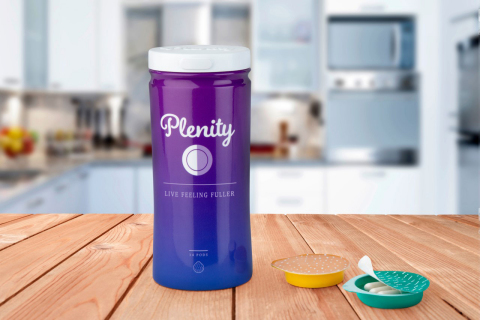 PLENITY particles rapidly absorb water in the stomach and homogenously mix with ingested foods. Rather than forming one large mass, it creates thousands of small individual gel pieces with the elasticity (firmness) of solid plant-based foods (e.g., vegetables) without caloric value. The PLENITY hydrogel mass increases the volume and elasticity of the stomach and small intestine contents and induces a feeling of fullness and satiety. Once it arrives in the large intestine, the hydrogel is partially broken down by enzymes and loses its three-dimensional structure along with most of its absorption capacity. The released water is reabsorbed in the large intestine, and the remaining cellulosic material is expelled in the feces. PLENITY is considered a medical device because it achieves its primary intended purpose through mechanical modes of action consistent with mechanobiology constructs. For more information, visit myplenity.com. Use with caution in patients with: active GI conditions such as gastro-esophageal reflux disease (GERD), ulcers, or heartburn. Gelesis is developing a novel hydrogel platform technology to treat overweight and obesity and chronic diseases related to the GI pathway. Gelesis’ proprietary approach is designed to act mechanically in the GI pathway to potentially alter the course of chronic diseases. In April 2019, Gelesis received FDA clearance for its lead product candidate, PLENITYTM, as an aid for weight management in overweight and obese adults with a Body Mass Index (BMI) of 25-40 kg/m2, when used in conjunction with diet and exercise. Gelesis is preparing to initiate a targeted U.S. launch of PLENITY in the second half of 2019 and anticipates PLENITY will be broadly available by prescription in the U.S. in 2020. Additionally, Gelesis is developing its second candidate, Gelesis200, a hydrogel optimized for weight loss and glycemic control in patients with type 2 diabetes and prediabetes. Novel hydrogel mechanotherapeutics based on the Gelesis platform technology are also being advanced through a pipeline in other GI inflammatory conditions where gut barrier and gut permeability potentially play a role, such as non-alcoholic steatohepatitis (NASH) and inflammatory bowel disease (IBD). The Gelesis executive and advisory team includes some of the world’s leading experts in obesity, materials science, chronic disease research and commercialization. Gelesis was co-founded by PureTech Health (LSE: PRTC), a biopharmaceutical company focused on the Brain-Immune-Gut (BIG) axis. For more information, visit gelesis.com or connect with us on Twitter @GelesisInc.